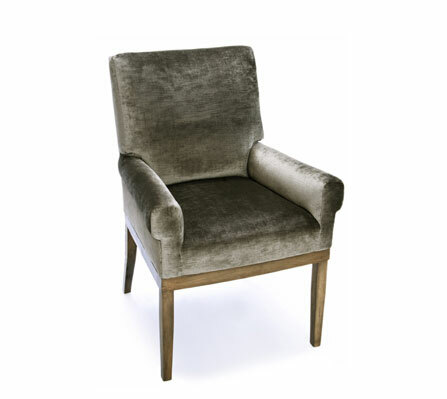 Grande side chair with fully upholstered seat and back with signature hand-stitched tufting tapered straight front legs and curved, tapered back legs with arched back frame for superb comfort. 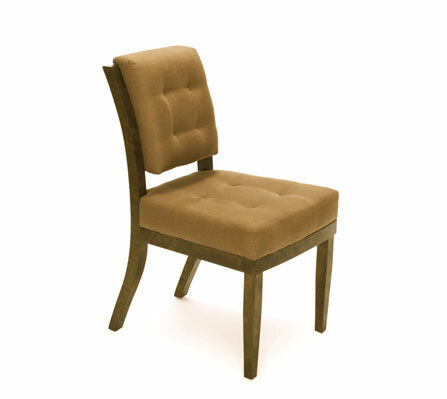 Klismos pull up side chair with slip seat cushion, the pitch of the back is canted in this version. 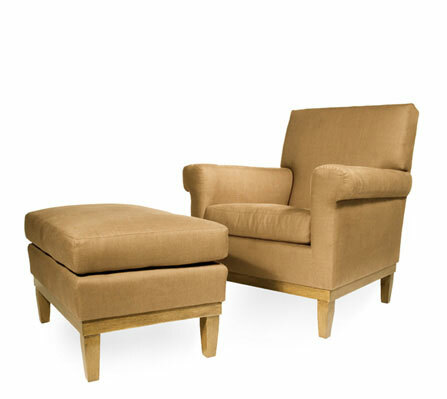 Upholstered lounge chair with loose seat cushion and tapered wood legs at base. Hand-stitched outside seams. The arched back provides maximum comfort and support. 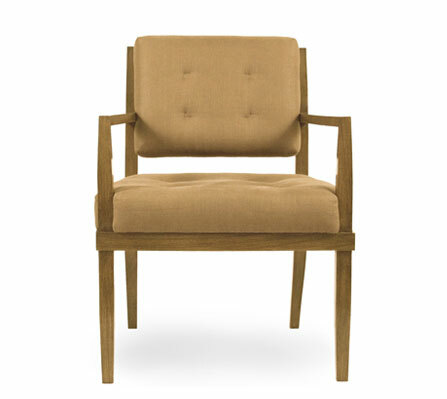 Upholstered lounge chair with one loose seat cushion and tapered wood legs at base. 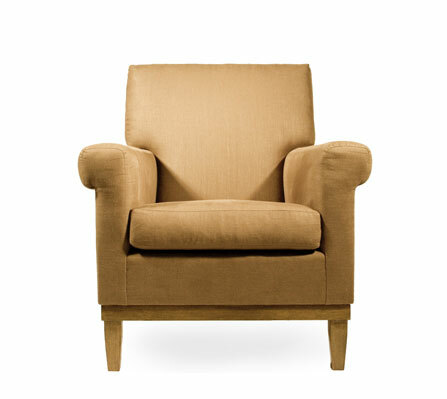 The arched back provides maximum comfort and support. 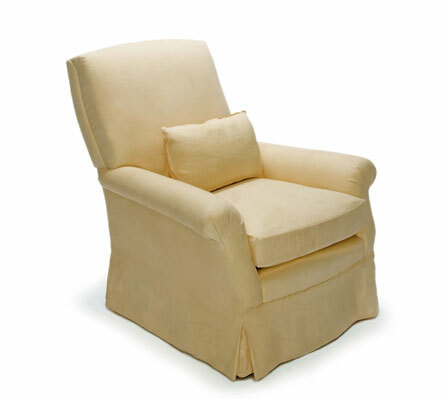 Lounge chair ottoman with semi-attached cushion on matching base. 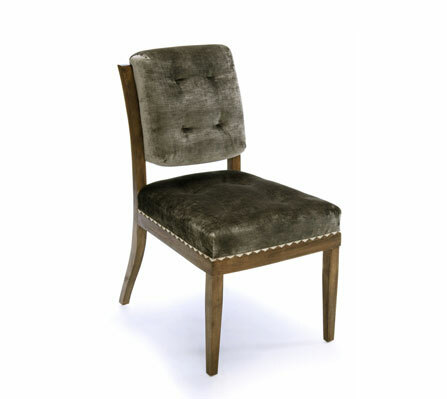 Petit side chair with fully upholstered seat and back with signature hand-stitched tuft-ing. 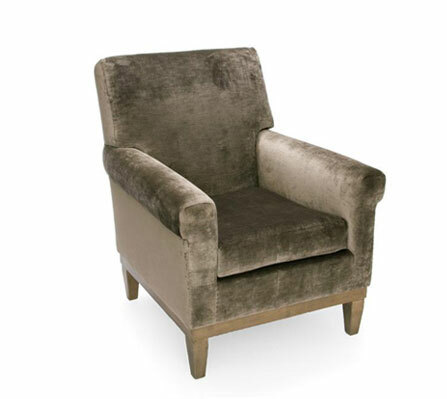 Tapered straight front legs and curved, tapered back legs with arched back frame for superb comfort. 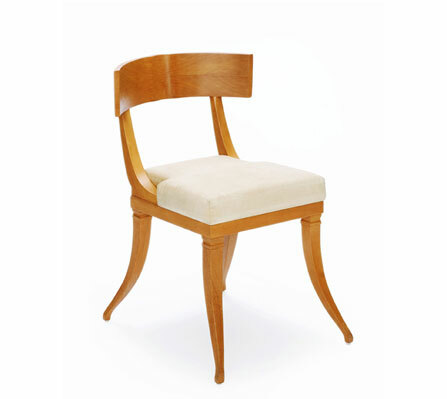 Pull-up closed arm chair with tight seat and back on wood frame. Hand-stitched outside seams. The arched back provides maximum comfort and support. 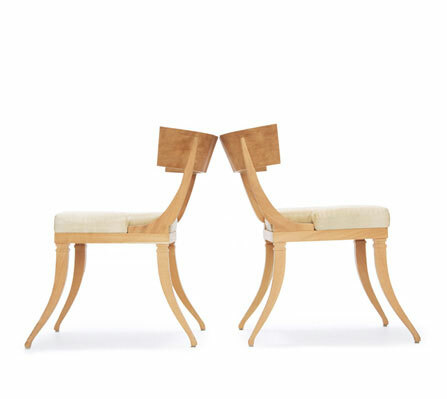 Pull-up closed arm chair with tight seat and back and wood frame. The arched back provides maximum comfort and support. 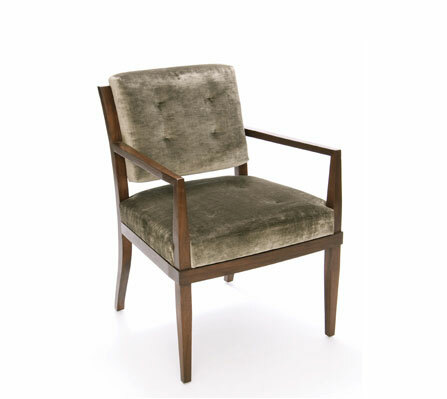 Pull-up open arm chair with hand-tufted tight seat and back. The arched back pro-vides maximum comfort and support. 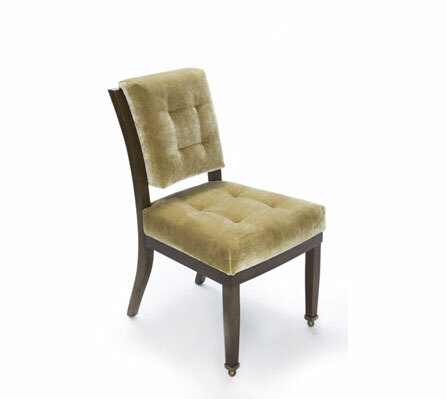 Pull-up open arm chair with hand-tufted tight seat and back. The arched back provides maximum comfort and support. 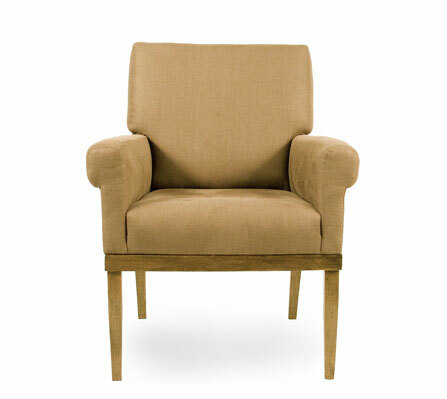 Upholstered arm chair with one loose seat cushion and one small back pillow, designed for superb comfort and support. The arched back provides maximum comfort and support.